In 1928, prophet and healer, Tahupotiki Wiremu Ratana, travelled on a pilgrimage to Te Rerenga Wairua. He was drawn to the far North, seeking enlightenment. During his visit he prophesised that a great light would one day shine out of the world at this significant place. Looking out over the hill, he heard the ‘atua peruperu’ – the sounds of the spirits of the deceased as they passed along Te Ara Wairua – the spiritual pathway. Ever since that time, the hill has been called Atua Peruperu. This week my daughter, god-daughter, and I travelled to Te Kao to pay our respects to a beautiful kuia who has touched our lives; the mother of a loved friend. While there, we heard the news from home of an aunty just passed, our thoughts were also at Wairewa with the loss of Hākui Pollyann Panirau. It seemed only right at this most beautiful place in the land, to think about all those who have influenced our lives and to be grateful for the light they have shone in our own pathways. Te Pūtahitanga o Te Waipounamu has been proud to support an exciting new initiative in Ōtautahi : Fush, with two approaches: Mobilising Te Reo and Te Hapai O.
Fush is helping to preserve and revitalise te reo Māori through providing te reo classes with a difference. Fush restaurant owner Anton Matthews (Te Rarawa) was already speaking te reo with his staff and customers and had a menu in both English and Māori. He had a hunger to grow the love of the language wider. The first lesson attracted interest from 700 people. FUSH courses, designed for beginners, are free and informal and many have attended their classes. Fush started offering lessons in their restaurant in Wigram but demand soon exceeded the space so Fush arranged more classes at different venues. Since receipt of Te Pūtahitanga o Te Waipounamu funding, Fush have partnered with Ara Institute of Canterbury to deliver the courses from polytechnic bases, which has enabled Fush access to a wider range of premises. A language hīkoi is planned for throughout Te Waipounamu. Massive public interest has continued, and Ara see the partnership creating win-win outcomes for everyone involved. Whānau are gaining much from the te reo classes. 95% of whānau said they learnt new te reo, 85% feel more confident using te reo Māori and 65% took part in te reo Māori lessons for the first time. For 30% it was their first experience in a te ao Māori environment. Understanding how to pronounce the words correctly. Being confident to use it everyday. I was inspired by Anton's enthusiasm and generosity in spreading the word (literally). I really enjoyed the session where you talked about aroha and respect for people and the land. Just a great big THANK YOU for having the heart to share your world and knowledge with as many people as you can. FUSH is also the latest entity to join the Fresh Air Project; a collaboration between the Cancer Society and Canterbury DHB along with fifty other cafes in Christchurch. The project is part of the drive for Smokefree Aotearoa 2025 – to reduce smoking levels across Aotearoa. The Health Promotion Agency tells us that Māori are 2.6 times more likely to be smokers than non-Māori; and also the youngest to start, with the average age being 14 years. It’s great to see whānau coming together to gain support from Te Ha – Waitaha (Stop Smoking Canterbury). It was great to get an update from Arowhenua Whanau Services this week and learn about all the different ways they are supporting whānau (www.aws.co.nz). 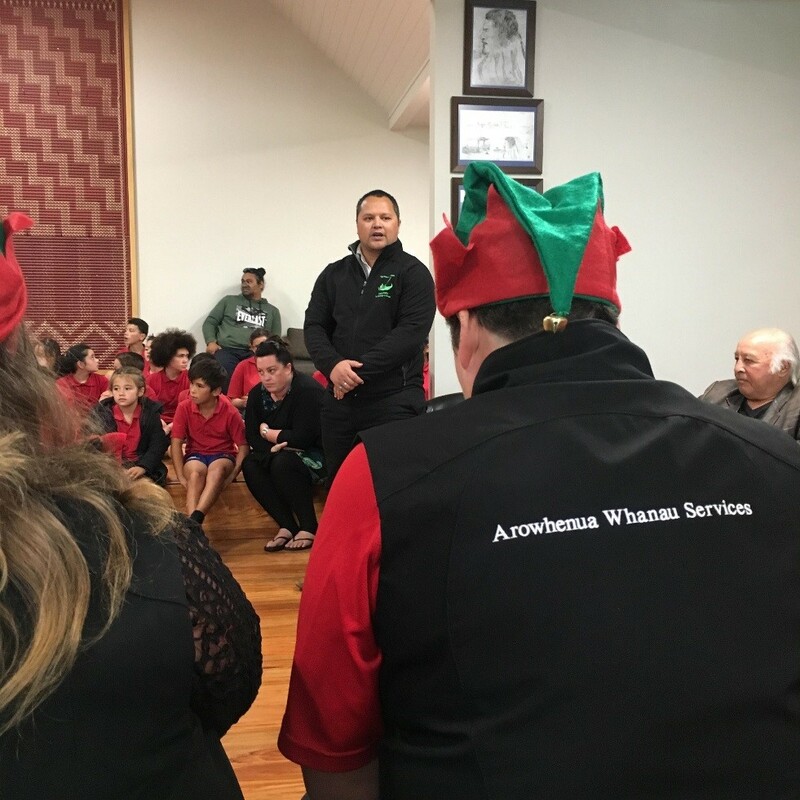 Arowhenua Whānau Services held a Christmas lunch for clients, whanau and special guests for over 130 people at the end of last year. 2019 has started with a rush. Look at all there is to offer! Temuka clinic late night Wednesday until 7pm starts on 13th Feb 2019. It is great to hear the Lotteries has approved using a small underspend in the health promotion contract for Kaikōura / Hurunui for some additional research with Māori in Kaikōura. This week, Maire Kipa spent some time with Lorraine Hawke and Celeste Harnett at Te Ahi Wairua o Kaikōura. It is so exciting to see the range of experiences and activities coming out of that space: slam poetry with resident champ Daisy Lavea-Timo; Reading Together; Te Ha community Hub; Mahi Toi to name a few. 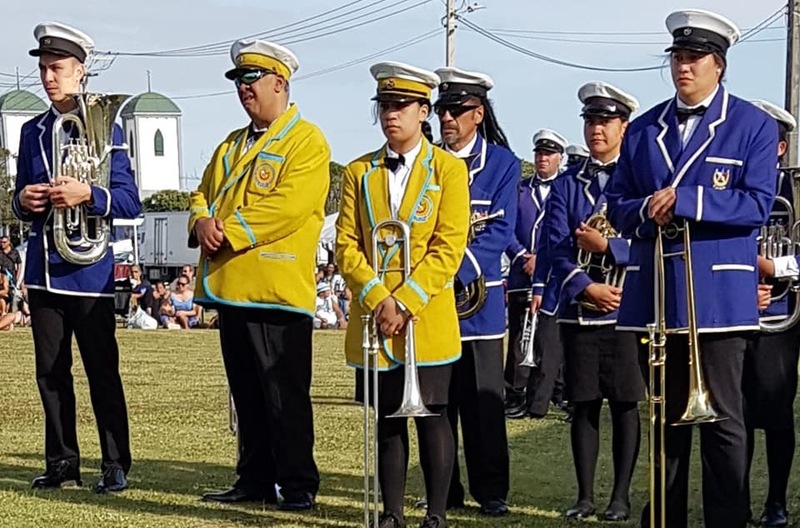 We also received this week a remarkable report from Linda Ngata, who has been occupying the role of Whānau Ora Connect – co-ordinating the action of the Whānau Ora Navigators in Kaikōura; Hurunui and Wairau. The purpose of the Navigators is to engage, empower, enable, inspire and support homeowners and their whanau to become independent and self-reliant. The Navigators offer a service to people whose homes are affected because of the earthquakes and in collaboration with those individuals develops a comprehensive recovery plan based on the most up to date information sourced, that enables them as a whanau to make informed decisions about their future direction. For the eighteen (18) month period a total of 495 households registered with the service. As at 31 December 2018 a total of 98 households remained active: 44 in Kaikoura and 54 in the Hurunui District. Annie McLean, Presbyterian Support Services (Hurunui). In April 2018 Courtney McSkimmings replaced Annie McLean. Jennifer Rodokal - Kaikoura Healthcare, Te Ha o Te Ora (Kaikoura). Moana Manawatu replaced Jennifer in November 2017. “As I filled out the evaluation forms for each client it was amazing hearing how grateful they were for having someone to talk to, someone to do the chasing of services and ultimately help them resolve their problems post-earthquake. The cases that were the most stressful and hard to get completed in the beginning were the most humbling, the clients had so much stress going into it and often it was a matter of keeping on the phone day after day, until the job was done. Those stories were the ones where you could hear the relief in the client’s voice. Tomorrow in Invercargill – Gala Street Reserve at 1pm – Koha Kai will be launching their custom built food trailer designed and created to meet the unique needs to their organisation. Te Pūtahitanga o Te Waipounamu will be there to cheer them on in force! We can’t wait to hear all about it. Wave Nine Roadshow Workshops – Come along!